Malakai: I'm not you, Derek. I can't do nothin' but what I'm doin'. I can't go to Georgetown with a 10.0 GPA, operatin' on people, doin' brain surgery or whatever the Hell you're goin' to be doin'. Record Store: A scene after the first night at Steps. Snook tries to talk a girl and gets shot down. He gives Derek the last copy of a CD. Sara shops for some hip-hop CDs and flirts with Derek. Jazz Club: Sara goes to see her father play. Chenille's Apartment: Kenny and Chenille argue about their son and talk about their relationship before the baby. Playground: Kenny and Chenille talk in a park. Hollywood deals with anything approaching real life so seldom these days, it's probably not surprising that it can only do so in the most predictable and pandering ways. This one's for all those white teens who long to be Black For a Night and want to be reassured that black teens are Funny When They're Randy, and all those black teens who want to show off how great they dance. 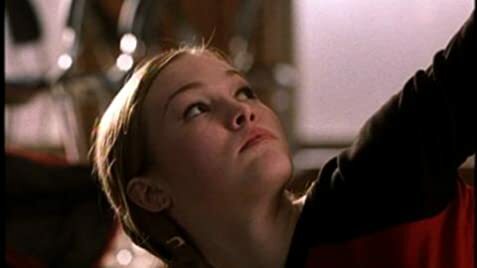 Julia Stiles gives her all, as usual, but with material and direction this tepid she ends up seeming more irritated than anything else, even before the obligatory slo-mo leap into her lover's arms. 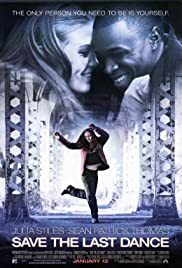 Sean Patrick Thomas is by turns thrilling and smarmy in a plot that requires him to be too many different people at once (and shouldn't actors be banned from using three generic first names? Sean Patrick Thomas, Robert Sean Leonard, Neil Patrick Harris--how are we supposed to tell them apart, besides that one of them played Doogie Howser? )That prize of a supporting actor Terry Kinney goes to waste in an enigmatically boring role. And whatever happened to black directors who were searching for their own style rather than content with imitating after-school specials?